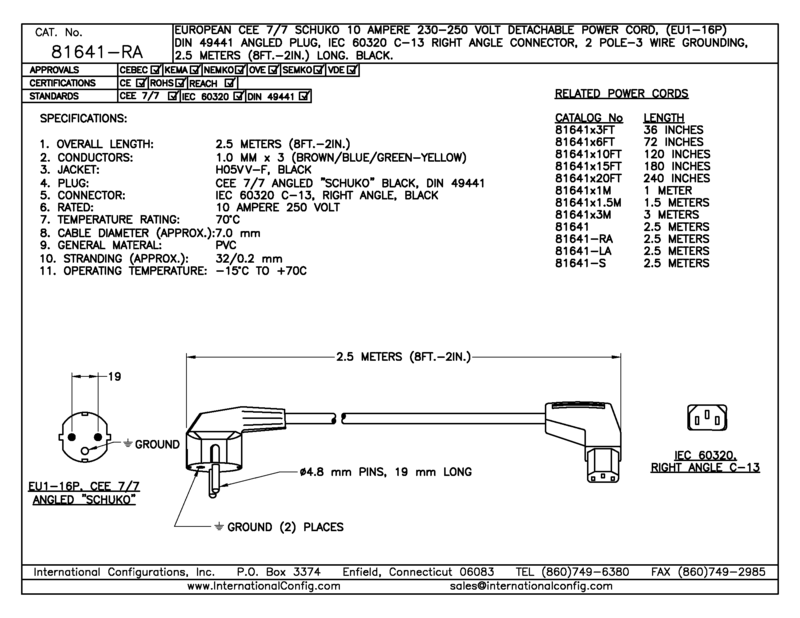 Detachable power cord set with \"SCHUKO\" CEE 7/7 (EU1-16P) angle plug and right angle IEC 60320 C-13 connector. 2.5 meters long. Cordage is black H05VV-F3Gx1.0 mm with international conductor color code. Rated 10 ampere 250 volt. 2 pole 3 wire grounding. 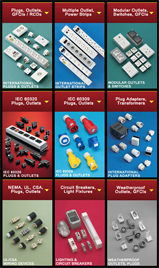 Available with shielded cordage, IEC 60320 C-15 120C connector and / or custom length.